I love the taste and smell of coconut flour, but anyone who has ever cooked or baked with coconut flour knows that it can be a real pita to work with. Mainly because coconut flour is super absorbent. It soaks up every ounce of moisture that you put into it. It’s so absorbent that when I cook with it, I add it to mixtures one tablespoon at a time, and I wait in between tablespoons to see if I need to add more moisture back in. I don’t know of any other alternative flour that requires that much attention. But I’m not really a baker. The issue is not necessarily the coconut flour, it’s the processing of coconut flour, which makes it so absorbent. 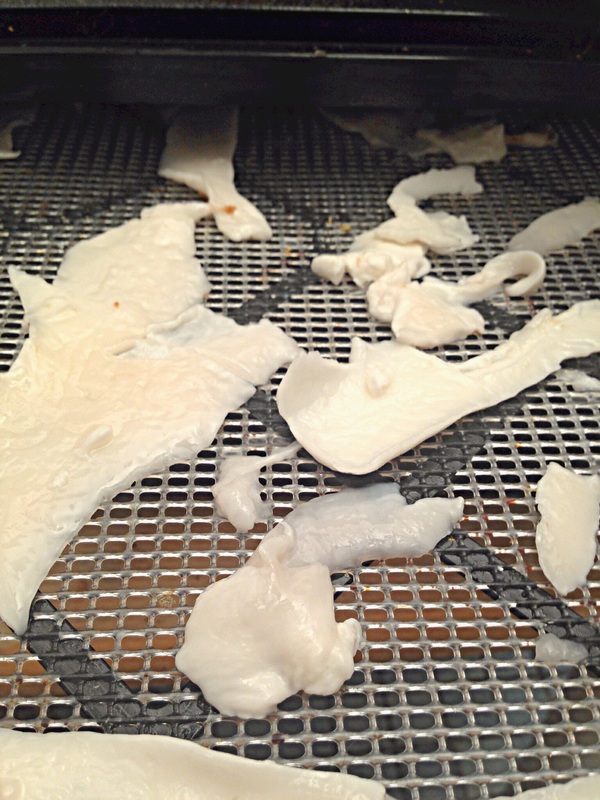 During processing, the coconut looses much of its fat and oil. Making coconut flour in this way retains most of the oil, which makes it easier to bake and cook with. If you make coconut flour this way, you will not have to add extra moisture, the moisture will already be there in the form of coconut oil. which makes it less drying. Directions: Pre-heat the oven to 150F. 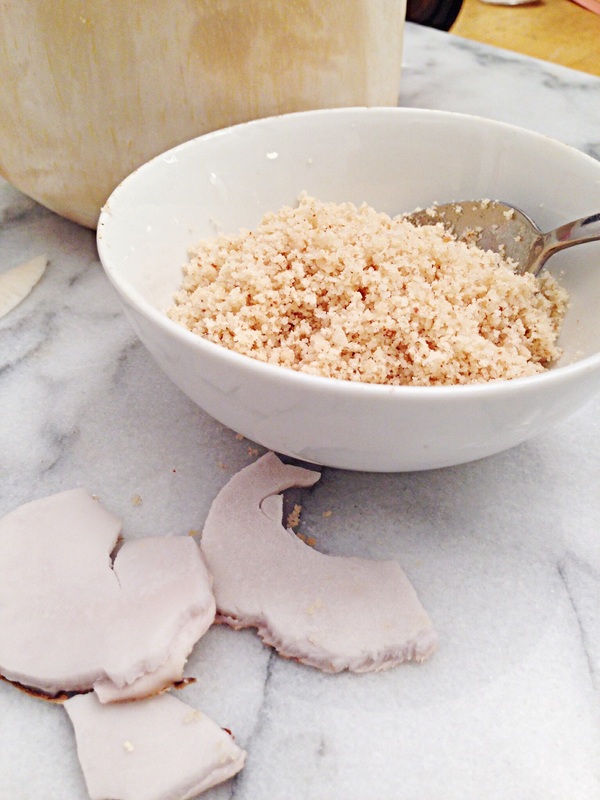 Spread the coconut meat evenly out on bake sheet or a dehydrator sheet. 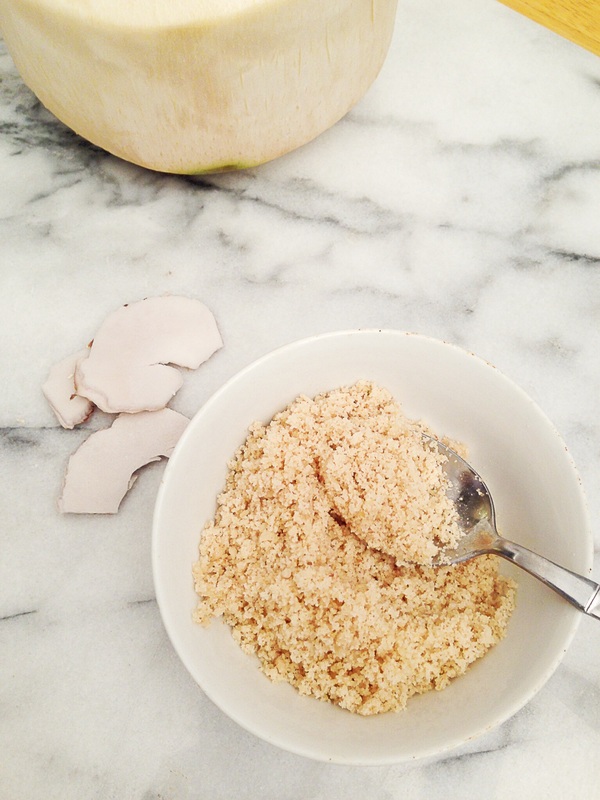 Place the sheet in the oven and allow to dehydrate for 6 hours or until the coconut is dry and crisp. 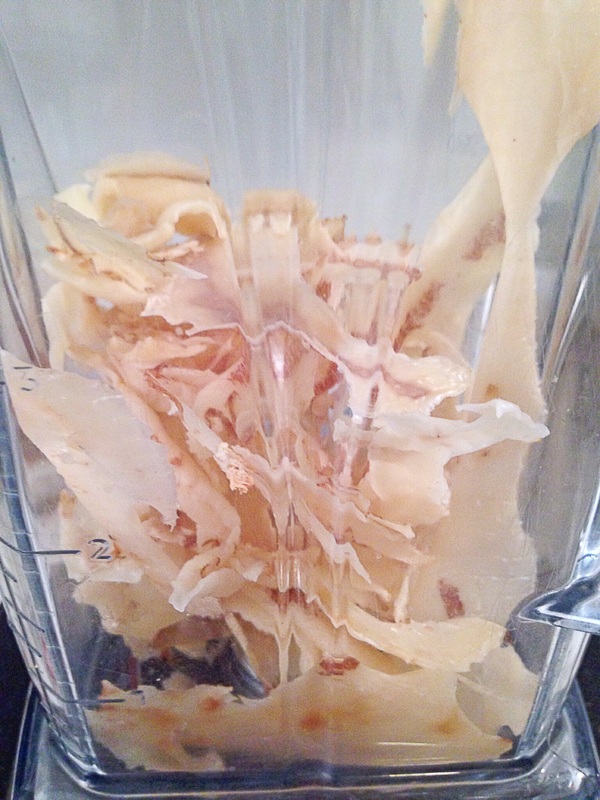 Transfer dehydrated coconut flakes to a spice grinder or blender and blend until it reaches the consistency that you like. Transfer the flour to an airtight container until ready to use. This entry was posted in dinner, Food, Food blog, gluten free, Healthy Whole Food Blog, low carb, paleo, quick fix meals, recipes and tagged ;ow carb, coconut flour, coconut recipes, dinner, Food, gluten free, how to make coconut flour, low carb, paleo flour, recipe, recipes. Bookmark the permalink.